As I ran through the Black Temple the other night, I realized that I’m grateful I no longer raid. The thought of trying to oversee people trying to do this whilst in combat would have got old real fast…. 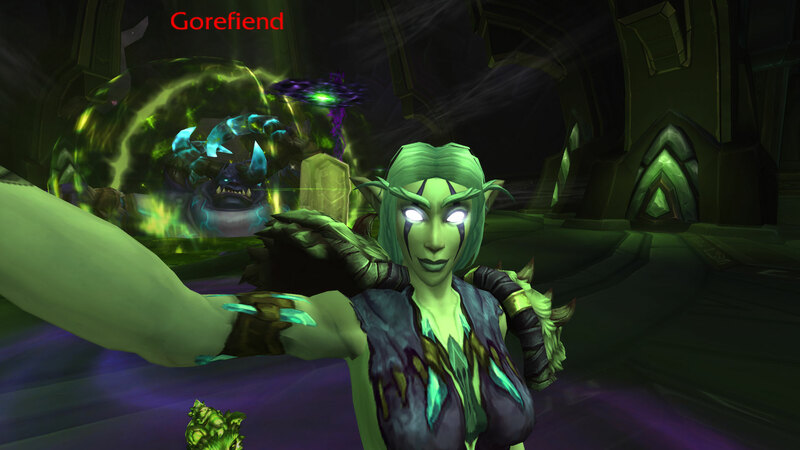 The sheer number of Hunters we would probably have had to kick for posting selfies of themselves hugging our corpses during wipes they avoided with feign death would most definitely have been over 9000 and that’s before we get to the wipes certain members of my old guild would have managed to create whilst trying to grab artistic shots of themselves with the next boss. Doing on your own though… well that’s another story. Three days in and it’s been bittersweet so far. 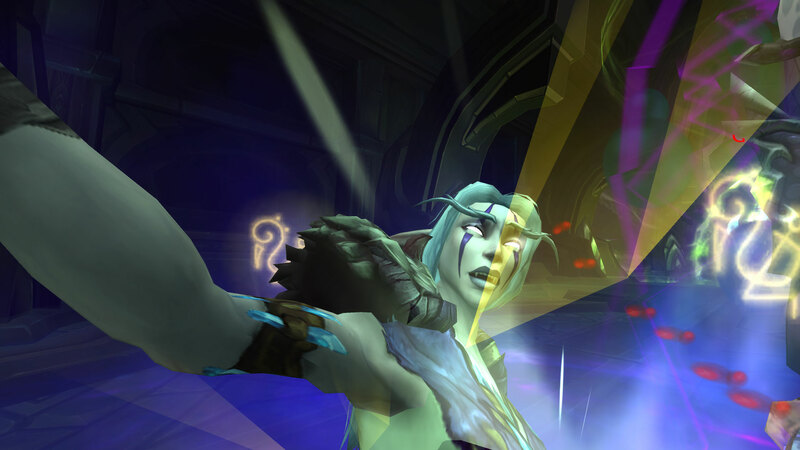 I’m glad to be back, WoW is a distraction like no other in many ways but my thoughts on Tanaan are mixed. It feels much like the Barrens campaign did, lots of disjointed wanderings around slaughtering things for rewards which much exceed the effort required. Don’t get me wrong, I’m quite happy with my three bits of 675 gear I’ve acquired to date but I’m still not convinced that it’s the right model moving forwards. If most people raid for gear (this is my cynical experience from many years in high end raiding guilds) where is the incentive to encourage those on the fence so to speak if you can get better gear than you need for grinding/questing purely from grinding and questing. 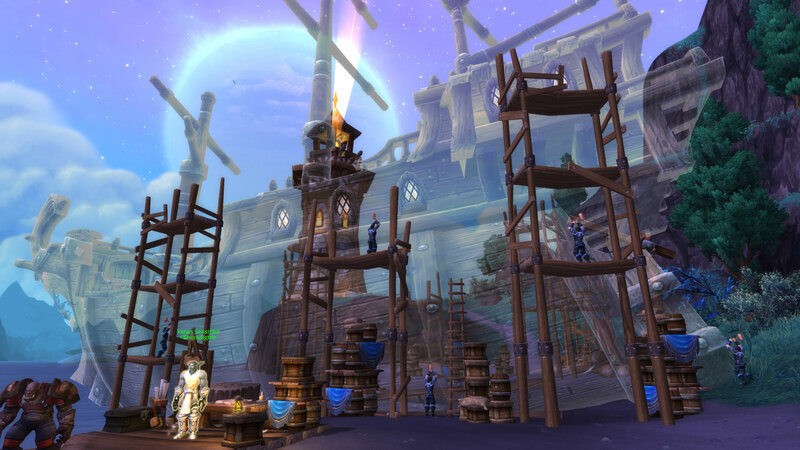 I know there was an issue with the vanilla model and whilst I was lucky/responsibility free (choose what you think is applicable) enough to experience high end raiding during that period, I know most people didn’t or couldn’t so something had to give but I think things have shifted too far away from organised scheduled content to random throw your hat into ring chaos. What I loved about WoW in those early days was the multi player aspect and I feel that’s definitely been a casualty of the move towards being all inclusive. You don’t need a guild anymore thanks to the Raid Finder, dungeon groups etc and I’ve gone from knowing everyone on my original servers to speaking only to a handful of people. 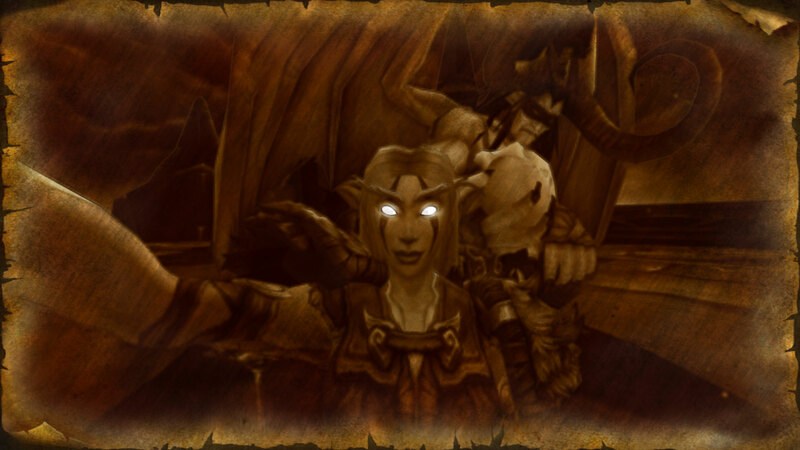 When you run Dungeons people err towards the unsociable and often down right rude end of the spectrum and many of the Garrison missions like the one Yrel gives you for Auchindoun can only be done by people on the same quest which is why my poor Priest had the time to be taking selfies rather than be healing Mr Harpy. Having one party member being able to disappear down a hole in the group whilst the other just stands there doesn’t smack of multi player. I now have this sudden desire to have Snowflower wander around all the dangerous locations taking selfies whilst being beaten up… a sort of living on the edge collection. This was a surprise. I made a point of not reading patch notes whilst the game was updating and I’ve been a bit too busy to read many other blogs so this came out of left field. Despite the odds of failure seeming awfully high, I like this addition to the Garrison but I’d be hard pushed to express why. Here is hoping that at some point we can make fishing boats and something a little less warlike in our shipyards. I must admit to being disappointed with this. I was hoping for a “Horrible Histories” style video replay of my demise and so having to sing the “stupid death” song myself whilst looking at a damage log isn’t quite up to par. 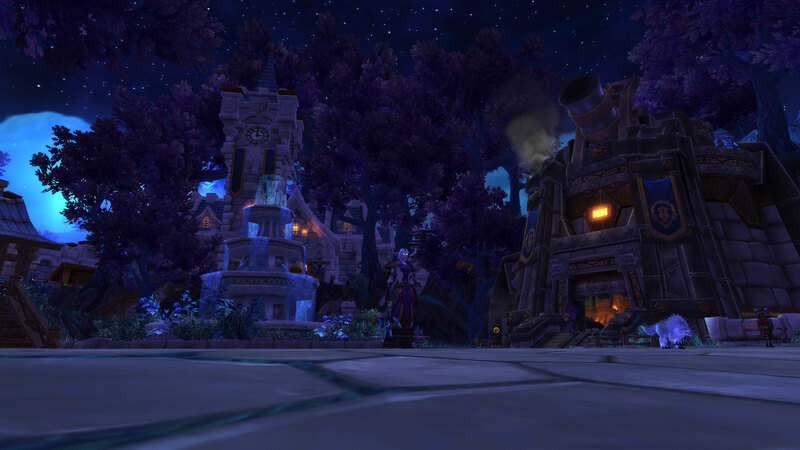 So far apart from the new exit (which I don’t like on roleplaying security grounds), I haven’t noticed many Garrison changes although either I’ve got much better at pet battling or the opponents have been heavily nerfed, I’m assuming it’s the latter. Flicking through the achievements list in search of new ones, I couldn’t help but notice a new Raiding with Leashes and seeing that M’uru drops a chaos pup, something I’ve wanted for a very long time so that’s definitely high up on the list. I’m also becoming a bit obsessive with those races at the Darkmoon Faire.. so close and yet so far. Given that my approach to time is now more like a Goblin one, it’s unlikely that I’ll be able to do more than dip in and out of Azeroth for the near future at least, although the little one does find it fascinating in short bursts so I will be focusing on the exploring, the curious and strange rather than raiding and PvP. The biggest question though seems to be what’s next, which feels a little disconcerting less than a year after Warlords launched. What ever it is, I can’t help but feel less Orcs would be a good thing. The bottom line though is I’m back and I have a camera… oh and apparently I still enjoy playing WoW 10 years after I started (see Mrs Hill… I’m capable at sticking at things I like so nah!!!). Apparently it’s over six months since I last logged into WoW …. Although it seems on my first admittedly brief glance around that little has changed. I haven’t been keeping up with the news so am hopefully setting off on a WoW voyage of discovery this weekend and surprisingly enough I’m looking forwards to it. As for what’s been keeping me distracted, well…. I can’t believe he’s almost five months old. 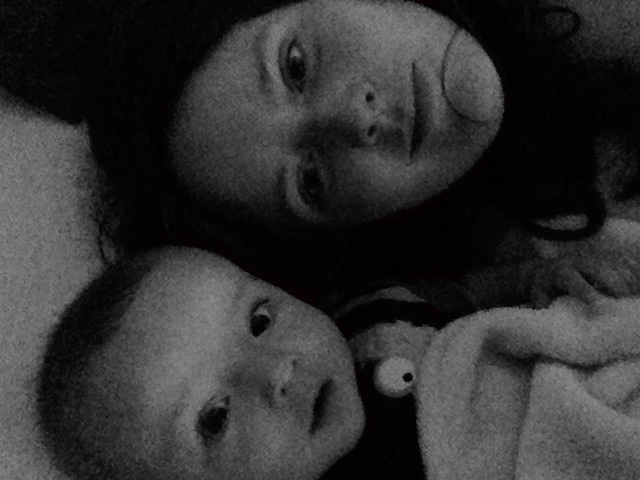 We were experimenting with selfies this morning and it seems he rather likes them.